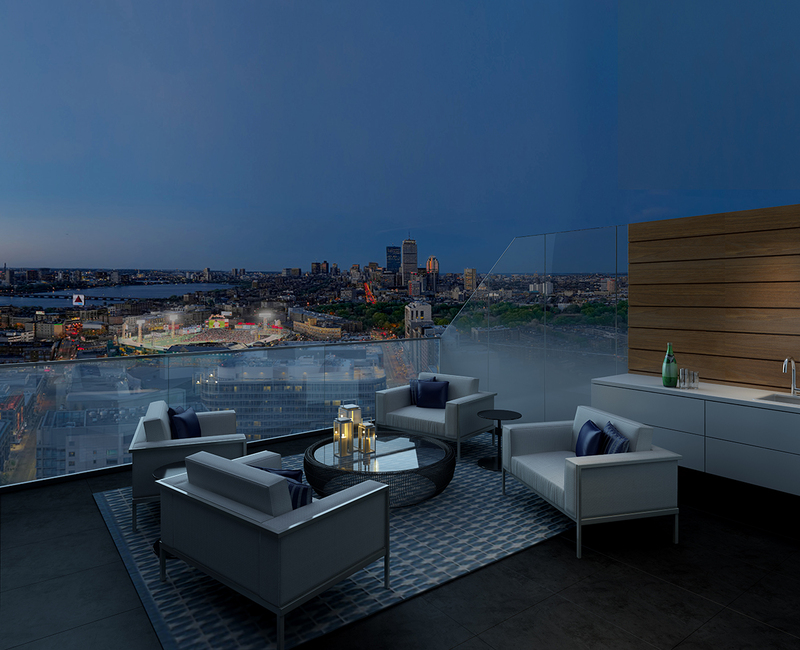 These pricey pods are perched atop Pierce Boston in the Fenway. A good view of the Boston skyline is priceless, right? In Pierce Boston‘s case, it’s a mere $300,000 or so. The luxury apartment complex that’s slated to be completed in 2018 just began marketing a new feature to its future residents—sky cabanas. The precious rooftop space of the 30-story tower is being divvied up: one side will offer an outdoor pool and lounge, and the other will contain 12 glass-enclosed spaces. While these spaces are called sky cabanas, they’re not actually huts with roofs. Instead, the 150- to 250-square foot cubes offer open-air, sweeping views of the city.